Based in Gloucestershire, there has been a mill situated on the site of Shipton Mill since the Domesday Book, where it was first recorded. Shipton Mill makes a large range of flours, from well-loved classics, to very specialist rare varieties, to ancient grains such as Emmer and Einkorn. This has also expanded to include some beautiful gluten-free flours, offering a wide variety of flavours. Stone-ground flours are at the heart of this range, being the very first types of organic flour that we produced at the mill. The millstones are made of the finest French Burr stone and painstakingly maintained, to produce the very best quality flour. There is also a walled garden where biodynamic produce is grown, and a cookery school in Frampton on Severn where bread and pastry courses are taught. Shipton Mill published its first cookbook this year, written by the miller’s daughter, Tess. 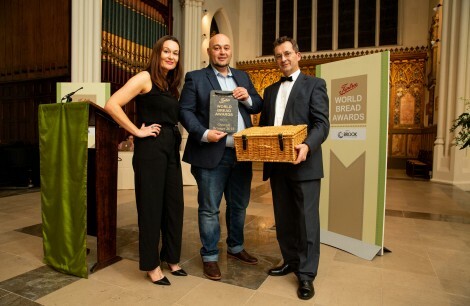 Shipton Mill supplies Artisan bakers and chefs throughout the UK, and through these awards we are delighted to help encourage the growing enthusiasm of many small bakeries who are now producing wonderful ‘Real Bread’.